Mothers day has come and gone. Like a lot of you others moms out there my family spoiled me for the day. My request, no diaper changes for momma! May seem small but it was wonderful. They also took me out to get fitted for a new pair of running shoes. Which I really needed. I have logged over 1,000 miles on the current ones. A big no no for running but you never really notice it until you put on a new pair. It was a great day to reflect on motherhood, what kind of mom I want to be and the women in my life that have taught me what it is to be a mom. I also thought throughout the day of kids we know in South Africa who have lost their mothers. The tragedy of friends here who have lost children. Feeling blessed by my two kids and at the same time realizing that I don’t know how long I will be able to “mother” them. 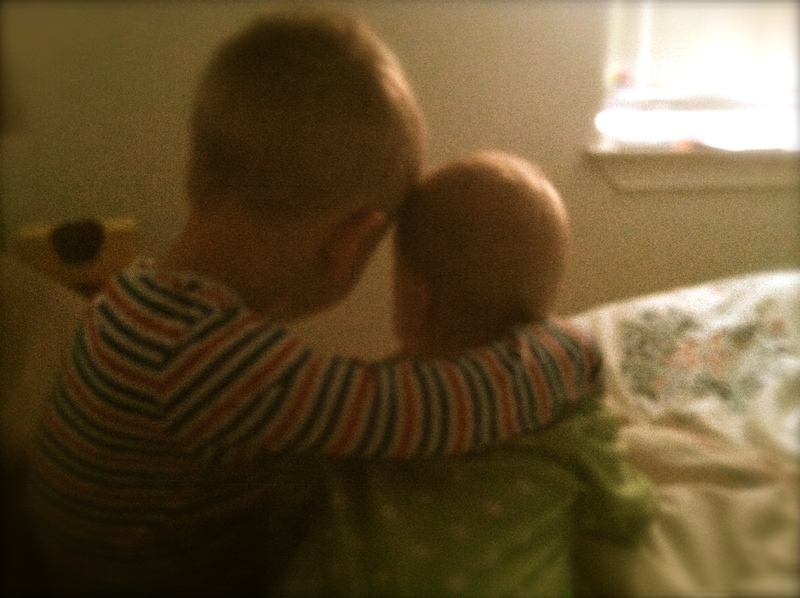 Renewing my commitment to invest in them while I have the chance and enjoy the moments (even the really early ones). I also thought about the future children that will come. Maybe biological or maybe a gift from someone else and looking forward to see by what means the Lord continues to grow our family! These two really love each other. Melts my heart! I also thought about what real motherhood looks like. I think that some people have this idea that its glamorous, or at least it must be that way for other moms. But it isn’t, for anyone. In fact, we just had one of those #momfailmoments last week. We were cleaning up the kitchen from dinner. I stopped and realized that I hadn’t heard or seen Aislinn for a while. As I went to look for her I found her in the bathroom. Why do little kids have such a fascination with toilets?! We usually keep a gate up but alas, not this time. I walk in to find her splashing in the dirty toilet flinging the toilet paper everywhere and trying to eat it. Yes, this is how it happened. Please don’t judge. Knowing that it would do little to really fix what had just happened I threw her in the bath. I at least felt somewhat better. My sisters and I all reminisced about how our mom would read to us every night. She would read until we fell asleep. We agree that this was one of our all time favorite memories of our mom and growing up. And even thinking about that I was amazed. How did my mom find the strength or emotional energy to read every night after long days with us? I said many prayers of thanks for my mom. She is by far the person that has influenced me and modeled the impact I want to have on my kids. 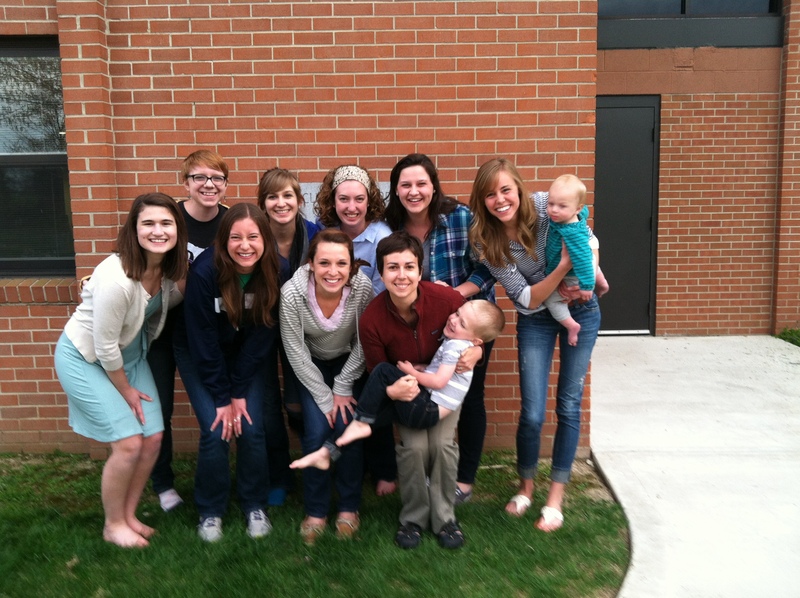 I also thought about some of the wonderful girls that I get to “mother” here at Cedarville. They are all around twenty so perhaps mothering is not the appropriate term. But as women in the body of christ we have and honor and responsibility to mentor and influence younger women. I had a group of 8 girls this year that I cherished time with. What a gift to be able to have them be a part of our family this year. Girls, the dorm is quiet without you here! So happy belated mothers day to you moms. And remember when those fail moment come, your still a great mom! Thankful for a day to be honored as a mom and to be able to love on other women. Beautifully wriiten and well stated! God is molding you into a greater woman of God and you are letting Him.